Originally, the farm consisted of an old farmhouse with an ancient, falling-down barn and 57 acres, 14 of which were vineyards. We – Jim Jenzen and me – bought it in 1987. It has been an adventure ever since.We turned the old barn into a place where I could teach, but we never had enough sense to quit building, so now it’s a 20,000 sq. 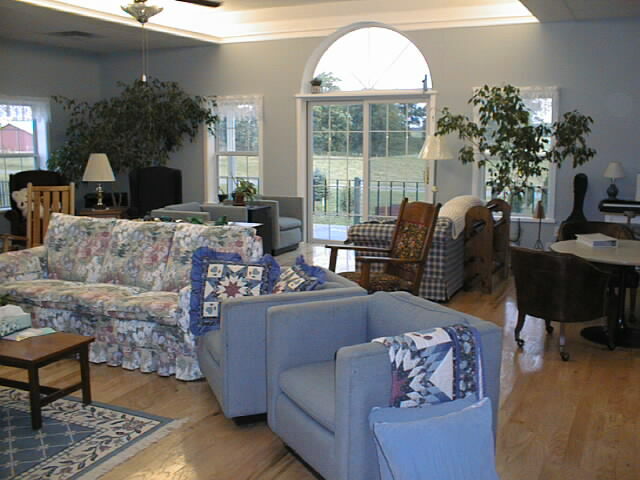 ft. bed and breakfast with private rooms & baths, a small cafe, a classroom, library, massage room, exercise room, and a fabulous kitchen for making real food. If you’d like to visit, need a place for a family reunion, or are looking for a place to have a wedding, give us a call. 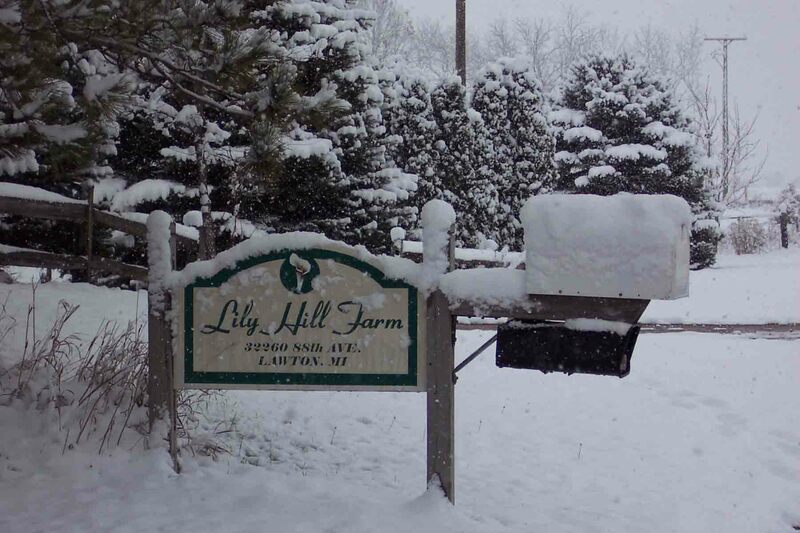 Lily Hill Farm was built as a demonstration of how to live a little more sustainably. 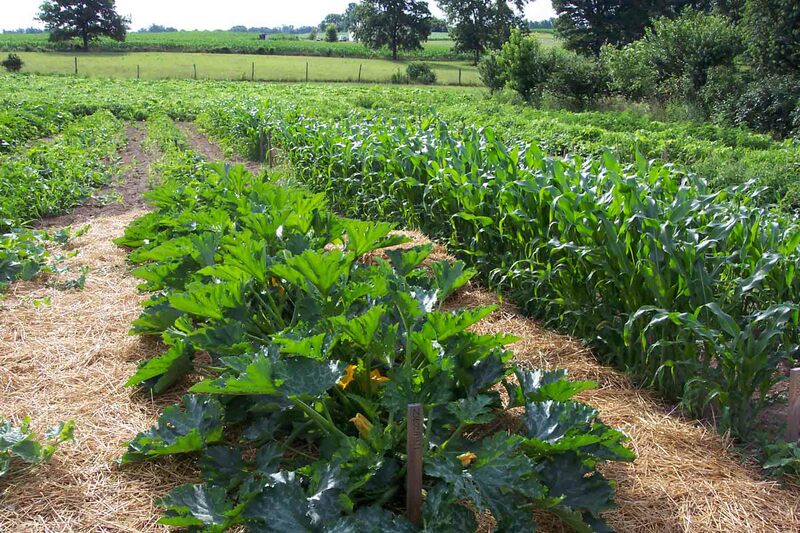 We have been organic since the early 1990s, grow much of our own food, and have several different heating and cooling systems that all work as backups for one another. We have our own well with excellent water, and have installed 2/3rds of a solar system. There are 3 levels of electricity – full commercial, partial commercial, and emergency only. The floors are heated, the rooms are full of light, and the building is an amazing place, designed and built by Jim, who was an energy-saving freak back in the days when no one else understood that we had to live more lightly upon the earth. We know how to make our own clothing, weave rugs, make quilts, preserve food by canning or freezing, dry a variety of herbs, make our own soaps and lotions, make our own music, build houses, barns, furniture or whatever, heal ourselves using natural methods, raise chickens and cows, and other skills that would allow us to be self-sufficient if we needed to be, all of which nurtures security. The goal is to maintain balance and stay in tune with our environment, not taking more than we give, and not ruining things for the children, plants, and animals that will follow us. Hello Mariza, you are not alone in terms of wanting to see a sequel to the Elves book. I have had several requests in that direction just in the last week. I am going to write a follow-up when I finish with the “Consciousness and Energy” series. Right now I’m on Vol. 3 and should finish it in 2013. I plan to focus on the Lily Hill Farm sequel after that. I didn’t think of a sequel earlier because I didn’t have anything to say, but over the past couple years a whole series of interesting things have occurred that I think would be worth sharing. I don’t know much about dryland farming, but perhaps some of the organic and Permaculture principles we use here will be helpful. In truth, the land is easy to work with. It is the people that are most challenging because they so often are closed to new information and must be opened before they can see the path to success. Thanks for writing…and Happy New Year! I agree! I would so love a sequel! Dear Penny, I have only just this week found and began reading The Elves of Lily Hill Farm. I am fascinated! I live in a small neighborhood in the city in Michigan. Last summer while I was weeding by my garage near an old wisteria trunk the thought struck me that I wanted to make a fairy garden. I kept thinking about it, but was unsure if the location was quite right as the garage, tho’ unattached, is quite near our back deck. Anyway, with other tasks taking precedence I didn’t get to do any work ‘on bringing my fantasy into reality. But I haven’t stopped thinking about it and can’t wait for spring and summer to do some actual work on it. And maybe, just maybe meet some fairys or elves or whoever that would tell me if, or where, they would like a garden. 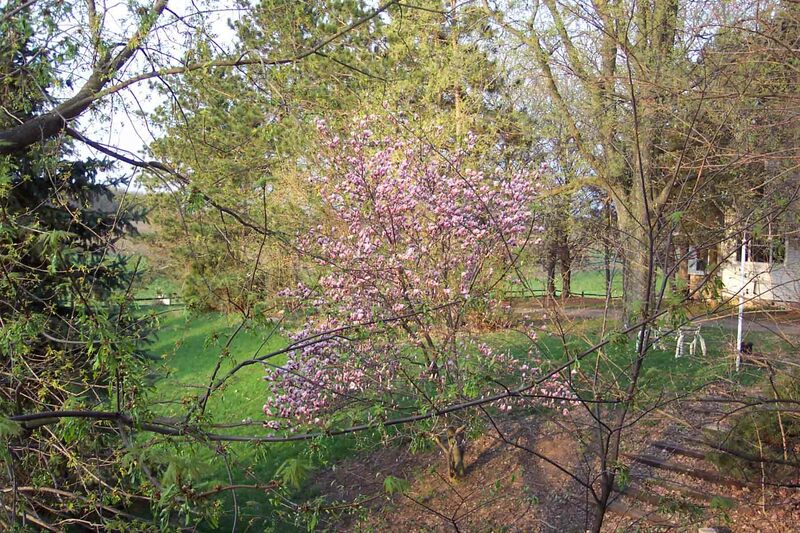 I am thrilled to have found your web-site and intend to visit Lily Hill some time. Thank you so much for your work and especially the book! Hey Naomi, are you going to create that fairy garden this year? Summer is coming…! You’re welcome, Carole. I did feel like I was “coming out of the elf closet” when that book was published! So glad you are an organic gardener. And yes, I hear you about the sequel…!!! Penny, I have been looking all over to get more info on your B&B and can’t find anything to link to. I will be in SW Michigan in July and wanted to check out your prices or whether you have a visitor center. We do have guests who come and stay for either a visit, or a getaway, or a class, or whatever. The cost is $75/person/night, less if you are a couple. We don’t have a visitor center, the whole farm is the visitor center! Call when you have dates in mind. I very much enjoyed my visit to Lily Hill Farm with the meditation group from eastern Michigan a few weeks back. I was the Canadian in the group that misplaced her camera (it showed up in the vehicle several days later). In your talk to us, you mentioned the story of a woman and son who drowned and were visited by beings under water. She was revived and the boy initially not. By following instructions from the beings, the boy was also saved. Do you have a link to this story? I would love to share it with some likeminded friends. I have enjoyed and been influenced by the three books of yours I have read (Evolving human, Robes, Elves). I will get around to reading the others in the near future. Robes, especially, has kept me learning how to be more self sufficient. Thanks again for taking the time to spend with our group and show us that our collective journeys are worth all the effort we put in to them. Janice, the incident I mentioned when your group was here was referred to as “Fire The Grid.” The woman’s name was Shelly or Shelley. If you do a Google search I’m sure it will come up. I heard at one point that some controversy had sprung up around the whole story, but I didn’t check it out. Too often, people who weren’t there and are merely sitting in judgment of something end up creating all sorts of conflict and contradictory tales. Use your inner sense of what is true and you’ll be fine. I’m glad you enjoyed the books, and thanks for the feedback. I enjoyed your visit, too! Hope everyone is doing well. PS – I’m so glad you found your camera! Dear Penny: How it uplifts me to see you are still going strong and things are so well! We here in Montana were rolling along, in love with our earth when plans were just announced “to create another Bakken” a terrible area of scorched earth with fracking. The island those of similar spirit created is no longer an island. The old mining mentality still rules the state, the laws, the legislature and is changing very slowly with a good new governor who treads lightly on this issue. So I sit and wonder, must we literally move on? The air, the water is pristine and very fragile on the edge of the Wilderness. I spoke up against a quarry/asphalt plant here and their words were ignored by elected officials and in some cases, they laughed at the farmers and ranchers-many people protested to no avail. Later the quarry’s mgr, the owner’s son, died unexpectedly at 54 of a heart attack. Before the quarry came-the quarry stopped. Very strange and tragic. I sit and pray and I wonder what nature thinks as I see Native elders will go to the UN soon to talk about man’s broken contract, to protest the Fukishima leakage, to protest fracking among other things in this country. Hello Eleanor, How wonderful to hear from you after all this time! I am sorry to hear that your area has been chosen for fracking. That whole process is such a tragedy for Mother Earth. If I had your lawyering skills, I might be tempted to file suit against them. Our ‘nest’ is being ruined, step by greedy step. It is heartbreaking to think you might have to move after all that you have done in your area. If it comes to that and you feel you must move, know that spirit is moving you for a reason. On the other hand, don’t hesitate to take a stand! Hi Penny! I am re-reading the Elves of Lily Hill Farm for the umpteenth time and just found your website! I am so glad that you are still out there, living and teaching the Ideal. I discovered the Findhorn story back in the 1970’s and have tried to live in balance with nature ever since. We have lived for 16 years on a small oasis of serenity southeast of Indianapolis on a little river. It has been my goal, always, that this would be a safe place of peace to all who enter and it seems to be. Thank you for sharing your story! I would love to see a sequel to your book….I know you have heard this before but I just want to add my voice. Thank you, Jeanne! It has certainly been a journey to live here on this farm! I am deep in working on Volume 3 of my Consciousness and Energy series of books, but I am going to do a sequel to the Elves book when I finish Vol. 3. In fact, I wrote the first chapter of the sequel a couple of weeks ago, so I can honestly say it is started…! Merry Christmas to you and your family, and may your small oasis of serenity flourish! Excited as I scrolled down to the end of the comments to hear you’ve begun the sequel to The Elves of Lily Hill Farm. Wonderful! I saw you on a vimeo of Chuck and Karen’s channel. I, too know Dr William Kelly and used to live very close by, in Toms River and Lakewood NJ My question is if you do work/study programs for guests. I have always wanted a back- to- the- land lifestyle, and so love reading about yours! Another question I have is what precipitated the Kundalini awakening? Was there a practice or contemplation you were doing at that time, a change in lifestyle, maybe? Diane, I’m so sorry to say that we do not have any work-study programs in place at this time. We are putting some serious gardening plans into action this year, while continuing to raise pasture-fed chickens for sale at the farmer’s market in Kalamazoo. 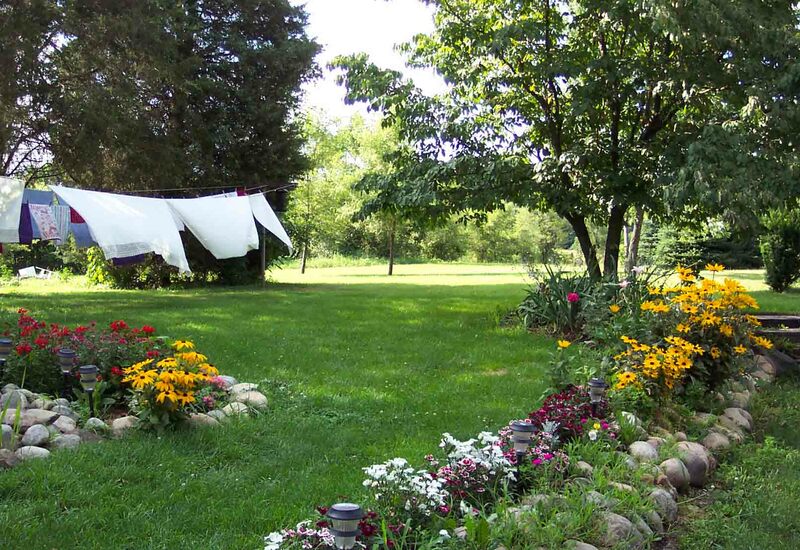 The best we could do at this point is offer anyone who comes to stay at the bed & breakfast an opportunity to work right along with us in the flower gardens, vegetable gardens, or feed chickens and collect eggs. There’s no pay involved, just experience, a tan, some good old-fashioned sweat (aka skin detox), and a chance to reconnect with Mother Nature. As for what precipitated the kundalini awakening, I’m not sure! There was NO practice or contemplation going on, I knew nothing about meditation or contemplation or anything to do with metaphysical ideas or Buddha or psychic stuff. The awakening was spontaneous, and the only thing I can point to is the fact that I had fallen in love for the first time in my life. When kundalini awakens, consciousness becomes unlimited and opens to include the love that is a basic principle of all that is. You become a fountain of love that just won’t stop! The whole experience is quite messy and can cause quite a crisis in life. It eventually settles into a way of being that can be very different from what you were before the experience. Dear Penny, we think that meditation will help lead to full realization of the first seven gates of knowledge of which there are 52. You have some of this, at this time. Its kundalini, alright.You do great work for all humankind. I am caring for you and yours. Love is great, I believe as you. Thank you, Jim! Yes, meditation is very helpful in getting people on the path to awakening!! We certainly need that right now. Hi John, Yes I did read the chapter and would be interested in the rest of the book. I can’t recall if you said it was an ebook or print book. But if you send me a link, I’ll download it, or if it’s a print book, send it to the address on the website: 32260 – 88th Avenue, Lawton, MI 49065…and thanks! Wondering how you are finding the book–John, motiheal@yahoo.com? John, I haven’t been home long enough to read much at all, but I have to comment that I have long observed that reality is much more fluid, much more dynamic that most people would even begin to imagine. There is no reason to leave the earth and the ground we walk on out of that fluid, dynamic movement. It was a pleasure to have you all here, and a wonderful excuse for me to work on my own writing! Hi Penny, what are your rates for a couple? I’m interested in bringing my wife there sometime. What are your rates for a couple? David, the cost for a room is $95/night for one or two people. If you can, plan to come during the week because the weekends are taken by large groups who rent the entire place. It’s a lovely place to relax! Yeah…and we’re gonna do the “write-in” again!! Yippee! The B&B is busy and fully booked until September and I think summer has arrived…but I have hardly noticed because I have been nose-to-the-grindstone with that new website. For months it seemed hopeless, but there was one little breakthrough in realizing I had to start over because I had the wrong theme, then in finally getting my mind around plugins, getting the ebook store up and running, creating a PayPal Sandbox…and I think it is coming together! I still have a lot to do yet, like upload the first dozen podcasts, get the rest of my classes recorded, and migrate the old blogs over to the new site, but I ran a first test the other day and found most things are working. Amazing! Talk about a challenge…new concepts, new language, new definitions…phew! Take I-94 (in Michigan) to Exit #60, Lawton/Paw Paw At the end of the exit ramp turn south onto M-40. (Left, if coming from the Detroit area; right if coming from the Chicago area.) Take M-40 south for about 8-9 miles and turn right (west) onto 88th Avenue. (Look for VicTree Ranch on the left. This little horse ranch is right across from 88th Ave. Go 1/2 mile to Lily Hill Farm, the second place on the right.